Are Used Gear Prices Going Up? "... Prices of both acoustic and electric instruments appear to be as high as ever, but it is my opinion that the market is less of an investor's bonanza than it may once have been. … [It] no longer seems to exhibit the linear growth of all prices in general that once made investment in fretted instruments so lucrative [and] virtually foolproof." While they might have been typed into a thread on TheGearPage last week, these words are those of esteemed guitar expert George Gruhn from a book called The Musical Instrument Collector published in 1978. Compiled by J. Robert Willcutt and Kenneth R. Ball years before the vintage guitar market achieved true bonanza status, this curious volume contains all sorts of discussion about the instrument market and its prospects, and raises questions about whether the boom in interest in vintage guitars—then still a relatively new concept—was at all sustainable. They cite with amazement an original Korina Explorer selling for more than $2,000. Little did they know that just a few decades later, that same guitar would probably sell for more than $300,000 were it to come to market. As this 40-year-old book demonstrates, general paranoia about the long-term veracity of the used gear market has existed for as long as people have been talking about instruments as collectibles. These days, that same sense of uncertainty and feeling that the good times are over is ever-present in the minds of people who buy and sell and obsess over used music gear. Well-publicized diatribes about the death of the electric guitar don't do much to allay the sense of doom. But fearful sentiments on the price of used gear isn't limited to claims that the party is finally coming to a close. For every flipper that laments that they can't get top dollar for their used pedals anymore, there's someone out there complaining about how gear prices have gotten totally out of hand. And while in 2018, it's as impossible to predict the future of the market as it was in 1978, what I can do is showcase some recent sales data from Reverb to show how prices have gone up or down for different, hopefully representative, pockets of the used gear market. The categories, brands, and products shown below obviously do not encapsulate every type of gear there is (yes, I know I left you out, drummers and bassists). But the various examples have been selected as being products that sell consistently and have sufficient volume of sales on Reverb from which we can extract some meaningful averages. First, let's look at the used guitar market—the sector of the broader used gear world that typically gets the most attention. As you can see, on Reverb over the past four years, prices on used guitars have either gone up or remained essentially flat. Of the categories shown here, prices for vintage Fenders and vintage Gibsons, which serve as a bellwether for the mainstream vintage market, have seen noticeable gains of around 20 percent since 2015. Contemporary Gibson and Fenders—which I'm defining as guitars made from the '90s onward—have inched up slightly, but are flat for the most part, indicating that most of the overall increases seen in the "Fender Electrics" and "Gibson Electrics" categories have come from the vintage end of things. There's a lot of talk about the eventual demise of the vintage market as baby boomer collections begin to be sold off, but based on these numbers, the burst has not occurred as of yet. Comparatively, prices on used Ibanez and PRS guitars, which have a smaller but growing level of vintage interest, have remained almost entirely flat through this same period. Another factor at play here is the rise in prices on new instruments. Fender, for example, replaced both its made-in-Mexico Standard and American Standard series in the past few years with new lines carrying slightly higher price tags. While these haven't found their way back into the used market massively yet, the steady increase in the price of new guitars does certainly have some bearing on the used segment. Of course, with these numbers and those shown below, there's the broader issue of inflation as it relates to the real costs of these instruments. It's a much more complex macroeconomic issue than we'll explore here, but taken at face value, you could argue the rate of inflation has taken away from these gains. The United States' annual rate of inflation was 0.7 percent in 2015 and more than 2 percent each year from 2016 through the present day, according to the Consumer Price Index Inflation Calculator. Used gear categories that appear to have shown modest increases may actually be cheaper to purchase now than they were in previous years, once you account for inflation. We turn now to synths, which is a gear sector that, at least on an anecdotal, cultural level, is currently more dynamic and evolving than electric guitars. Here these top-level averages, while a bit mixed, are probably less indicative of the overall market. The compositional nature of what they aggregate is much more varied than what you'd find within the guitar data. 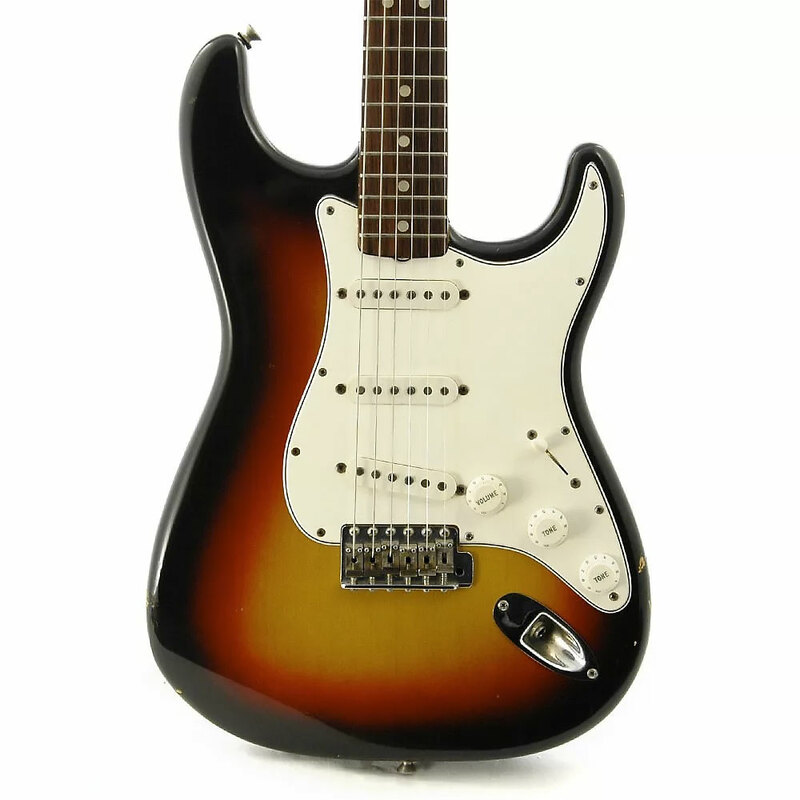 For example, a Stratocaster made in 2018 is much the same as one made in 1998 (condition notwithstanding). The technology simply doesn't change much. Within the synth market, however, there's a much greater emphasis placed on the latest and greatest designs, and because of this, the numbers need to be viewed through that qualifying lens. 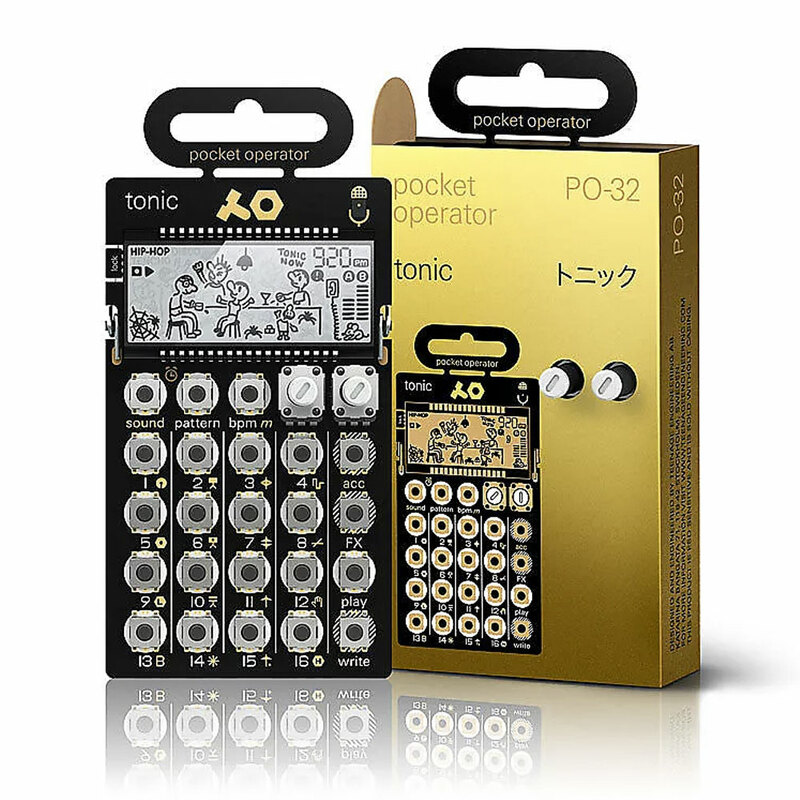 One major development in recent years is the proliferation of smaller format synths like the Korg Volca series or Teenage Engineering Pocket Operators, which, while perhaps lowering the overall average price of used synthesizers, actually indicate real growth in that product category. These instruments offer entry points for a lot of new synth users who eventually level-up to something a bit heftier. Often these buyers sell their Volcas back into the used market, increasing the proportion of cheaper synths within the overall market. The expansion of the Roland Boutique series, for instance, may be the sole reason average Roland prices have gone down since 2015. Ditto for Moog, who have offered more affordable options like the Mother-32 to wide acclaim in this same period. Honing in on the vintage end of the synth market, prices on the blue-chip Juno-106 and vintage Moogs, by comparison, continue to climb. For a much deeper examination of the vintage synth market and its unique internal dynamics, take a look at this article I wrote last year. Recording and pro audio gear prices on Reverb have increased a bit over the past few years. This rise, though, is likely an example of our specific marketplace and user base differing from the overall market. Compositionally, more and more high-end studio gear has appeared on Reverb in the past year or two than in earlier years, which would account for the overall lift in average prices that we've seen. If you look at the more consumer-level brands on this chart like Shure and Focusrite, prices have remained essentially flat. Acoustic guitars tell a similar story to the electrics we looked at above. Used Martins appear to have lost some ground, but like the synth brands, this may be indicative of there being more lower-end Martins on the market. Vintage Martins and D-28s specifically, while having lost some ground this year, are still up since 2015, which indicates the overall decrease in Martins has to do with the widening availability of lower-end guitars. Taylor and Yamaha show numbers more in line with the entire used acoustic data set: a little bit of increase but stable by and large. Amps on the whole also have remained relatively flat in recent years, with growth in the price of vintage Fender amps following in step with vintage Fender guitars. Pricing on the Vox AC15C1—consistently one of the best-selling amps on Reverb—has remained remarkably steady, as have general Marshall and Fender prices. The drop in Mesa-Boogie prices may have to do with the popularity of their smaller format amps, like the popular Mini Rectifier, which represents an industry-wide movement away from high-powered amps over the past decade. The decrease in Tiny Terror prices since 2015 may relate to Orange's offering of more options in that series and thus lowering the demand of that specific model. In addition, other brands have released similar "lunchbox-style" amplifiers, whereas Orange, as the pioneers of the format, had previously dominated the market. More than any market segment apart from maybe synths, pedals and effects can be swayed by major new releases that can impact the overall averages. Boss, for instance, has introduced a series of larger-format, more expensive pedals over the past couple of years, such as the DD-500, which sold exceptionally well and brought up their averages. 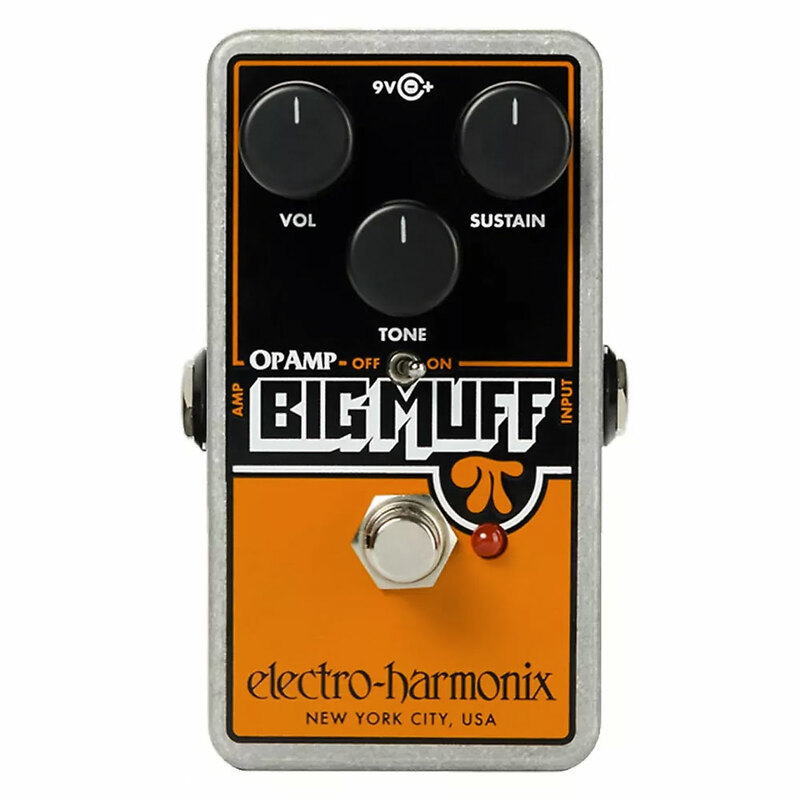 Similarly, Electro-Harmonix's recent release of affordable and extremely popular Big Muff reissues are probably driving down their average used prices. While these sorts of movements within the product offerings of specific brands might explain the change in the average price for each, they don't really tell us too much about the overall health of their used sectors. If we zoom in on individual pedals, though, you can see that blue chips that are always in demand and consistently rank as the most popular on the site have changed very little over the past several years. Perhaps the most interesting number has to do with the overall lift in used pedal price, especially if many of the standard, sub-$100 options like the Carbon Copy haven't changed at all. Part of this might be because of the emergence of more sophisticated pedals at higher price points—and more veteran pedal users selling their more basic models to fund higher-end acquisitions from the likes of Chase Bliss, Hologram, or Strymon. The increasing popularity of modeling units like those made by Fractal Audio could be having a similar effect. While pricing on used Fractal gear has remained relatively consistent, the number of units bought and sold on Reverb has increased steadily over the past few years, in line with a growing awareness and popularity of this class of guitar gear. As you can see from the above, used gear pricing (on Reverb at least) has remained relatively consistent, with just a few pockets moving up or down. Top-selling models have scarcely changed at all, indicating that the move in brand and category averages is more a compositional effect than a direct commercial one. As far as gauging the health and longer-term sustainability of the used gear market, there are some other numbers we can think about. While the general growth of Reverb as a marketplace and business tends to cloud any view of the raw, absolute number of sales, figures like average sell time and new-to-used price ratios can help paint a broader picture. Average sell time refers to the amount of time it takes for a used listing to sell once it gets listed on the site. Looking at the numbers from 2017 and 2018, 18 of the top 25 used brands on Reverb had lower average sell times this year compared to last year. Looking at individual products, the variance is pretty even in either direction and, on average, hasn't changed much at all. A similar story comes from a look at the used-to-new ratios of instruments or products that are still in production—that is, how much a used product is selling for relative to the standard price of that item brand new. For instance, if a new TC Electronic Ditto Looper sells for $100 and the average used price goes from $75 to $65, that would indicate less demand for this pedal. Looking at this number across different products and categories, there is generally very little change. Overall though, whether aggregated across brands and categories or honing in on individual indicative products, used gear pricing appears to have remained remarkably stable in recent years. There are discernible trends going in both directions in various pockets all over the map, but by and large, the story is one of maintenance and the status quo, not imminent decline and crash, nor astounding climb. And much like the guitar traders mentioned up top—wary as they were of the long-term prospects for vintage guitars—no one can predict the future of this market. But as long as Reverb is part of it, we'll share the data we have and explore any trends that manifest in the numbers. If there's any particular area you'd like more data on, let us know in the comments and we'll try to cover it in a future post.